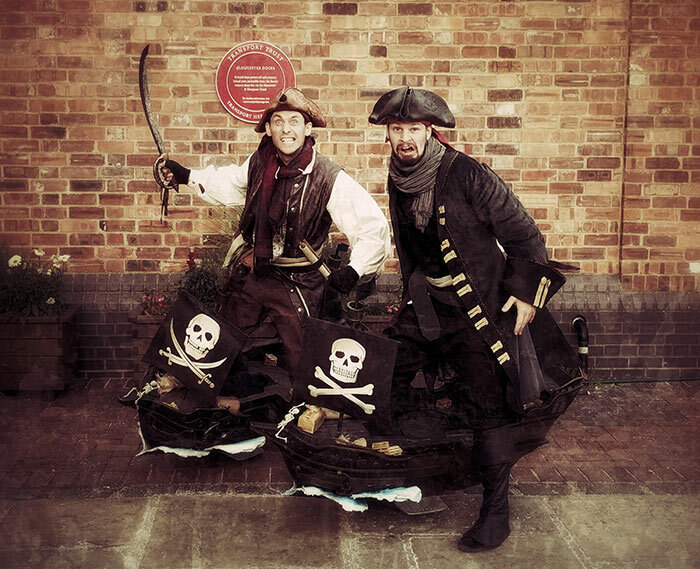 Avast, ye landlubbers! 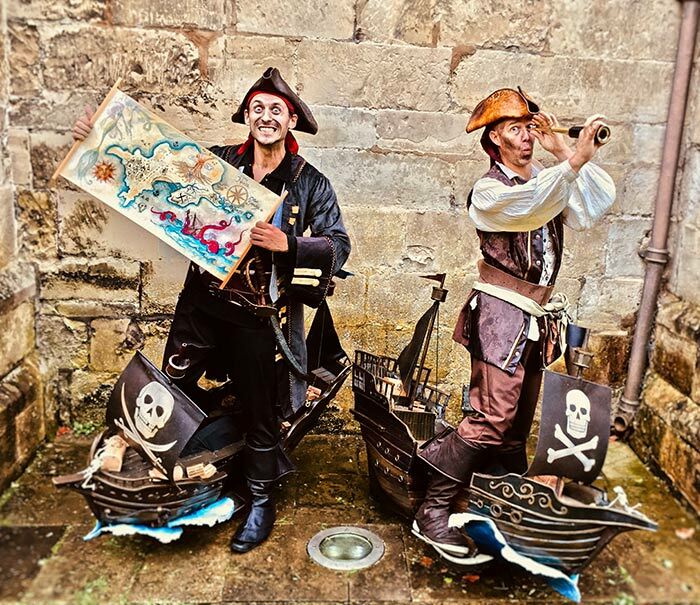 Come join our two salty buccaneers searching for treasure and adventure on the high seas. 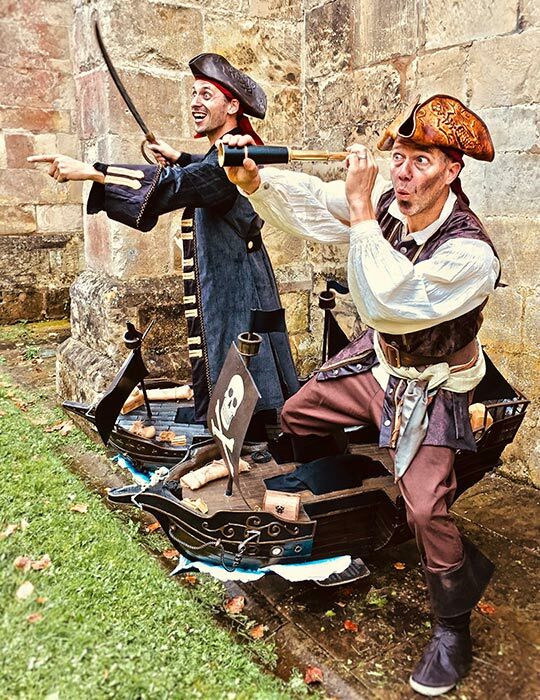 Meet a pair of pirates sailing atop incredibly detailed, miniature galleons that glide majestically across the land, as if by magic. 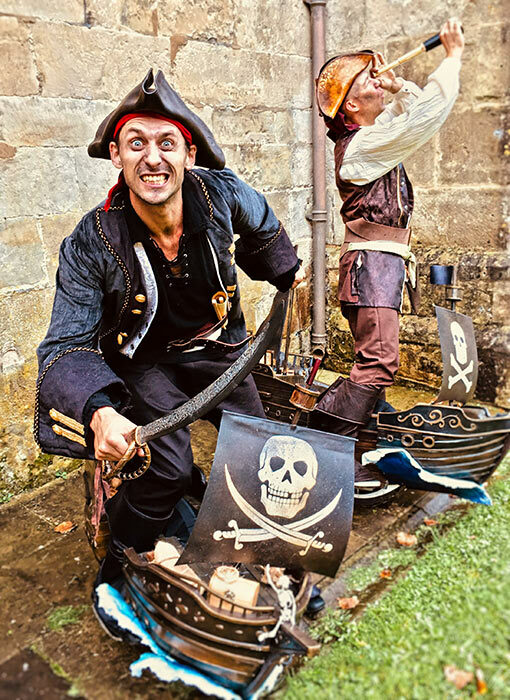 Dead men may tell no tales, but your guests won’t stop talking about these performers as they swashbuckle, pillage and plunder their way through a crowd. Crew members will be recruited! Treasure maps will be deciphered! Ships will be boarded! Booty will be found! All hands on deck and batten down the hatches. It’s a brand-new sail-about act from the creator of the Flame Oz and Moon Calvos.